In recognition of the continuing struggle of care providers to innovate to cope with the newly introduced National Disability Insurance Scheme (NDIS) MYOB has brought a selection of its partners together to spearhead the provision of integrated software solutions to facilitate business improvement. These solutions will assist care providers to innovate in areas that are seen as most crucial to remaining efficient and effective in the NDIS environment: business efficiency, staff management, payroll, billing, accounting, financial forecasting, budgeting, and portal integration. be important for these organisations to gain complete transparency. – Tim Reed, CEO, MYOB. THE MYOB “Ecosystem” OF TECH SOLUTIONS: Innovating for the NDIS. To assist care providers to innovate in the area of staff management – availability, skills tracking, rostering, scheduling, time & attendance, award interpretation, payroll, and billing – MYOB has chosen the Canberra-based provider easyemployer. easyemployer was chosen by MYOB as it is a specialist workforce management solution for the aged and disability care sector and is already cutting up to 90 percent of time spent managing a workforce and enabling efficiencies that can save anywhere between 5% to 15% of labour costs. Savings that are crucial given that the first Australia’s Disability Services Sector report (2014-15 FY) shows that – even before the NDIS came into play – there is relatively poor profitability within the sector with 42% of care providers generating less than 3% profit. “easyemployer is excited to be a part of this joint initiative with MYOB. CARE PROVIDER SUFFERING UNDER THE NDIS – Poor management v Historical Legacy? 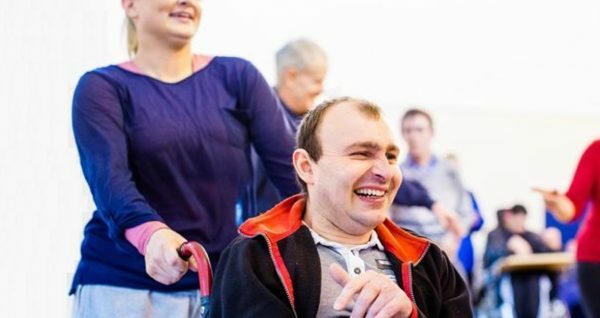 Recent feedback from providers and participants in the NDIS is that it’s “daunting – but worth it”. That’s to be expected when an initiative for major social reform is implemented at such complexity and scale as the NDIS represents. The last time something of a similar scale was implemented in the health sector it was universal health care for all Australians via Medicare, introduced in 1975. As with all major social changes the introduction of the NDIS has had it’s challenges, as did the Medicare implementation… but the Medicare scheme is now considered a fundamental part of all of our lives. Given the scale of the NDIS there will be implementation issues and there will be naysayers but according to the latest research by the Australian Department of Human Services, approximately 460, 000 Australians will be positively impacted by the NDIS. Under this scheme, Australians under the age of 65 with a permanent and significant disability will receive the reasonable and necessary support they need to live an ordinary life. In order to deliver that life changing service to so many recipients and within the guidelines of the NDIS, disability and community care providers will need to learn how to effectively operate in an environment that is totally unlike what existed previously. They’ll need to quickly and drastically modify the way they run their organisations or risk going out of business. The NDIS has left many organisations in its wake and as the roll-out continues and teething issues are ironed out with the portal there will no longer be any “leniency” buffer for organisations to operate in. And whilst the most recent focus has been on the problems faced by the NDIA, the 2,000 or so disability services providers across Australia are under the most pressure. Recent stats are estimating that existing disability services providers will have to increase their service provision by 28 percent every year for five years in order to service demand. or not aiming for the highest quality of service but that’s a major misconception. It’s more about the requirement for providers to rapidly change a decades-old business model. required to make the massive changes required in technology adoption, business culture and business practices. We need to keep in mind that before the NDIS, disability services were block funded and providers designed their business models around this arrangement. They either didn’t need to or couldn’t see benefit in modifying their business models, investing in any major tech solutions to do things such as client account management, and many didn’t even bother determining their cost of service at a unit level as these things had no impact on the amount of funding received. Now, providers find themselves operating in an NDIS environment where those three major areas – effective business model, utilisation of tech solutions, cost of service determination for budgeting/billing – are among the things they need to be highly proficient at in order to survive. NEW FUNDING INITIATIVE: More $$$$ to assist care provider innovation. Minister for Social Services Christian Porter announced just days ago (06 October 2016) that the NDS will administer a $4m Fund to support providers innovating in key areas of work design and workforce arrangements over two years, starting in 2017. The Australian Government has also provided funding for the development of a robust innovation framework to guide the Fund. Projects supported through the Fund will be evaluated and the resulting knowledge will be communicated broadly to the sector to ensure maximum benefit is gained. Learn more about the Innovative Workforce Fund (IWF). and how they can help you operate successfully within the NDIS environment contact us. organisations within the care sector automate their rostering, time and collection, payroll and billing.